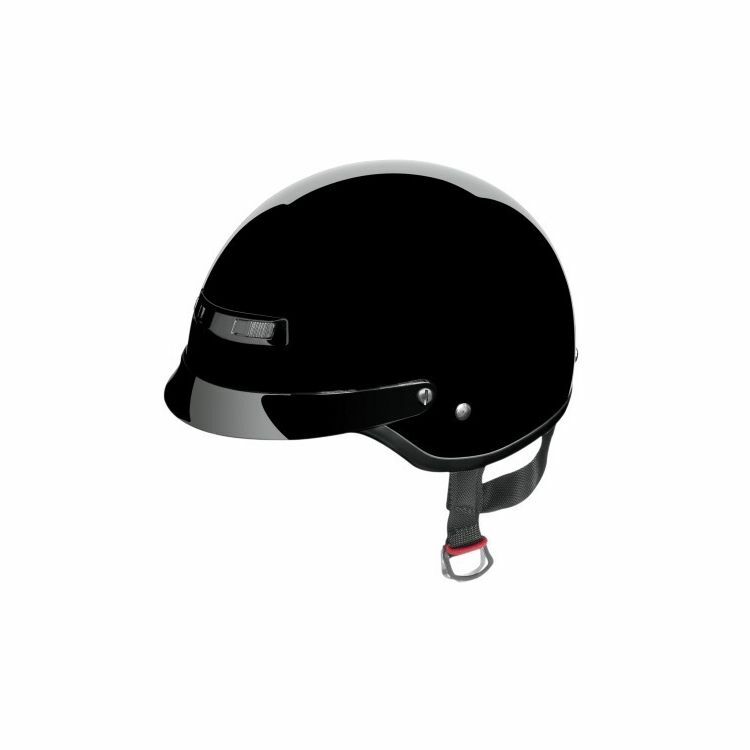 This classic helmet continues to offer both supreme fit and paramount safety while offering a new dynamic style. The Nomad offers the freedom of the open road with the necessary protection. The Nomad is DOT approved and is designed to sit down on your head, not on top like so many other "mushroom top" 1/2 helmets. Unlike others, the Nomad's removable neck curtain provides extra coverage and includes pockets for the rider's communication system. With versatile looks and one of a kind fit, the Nomad sets the standard for classic styling and modern performance. I am extremely difficult to fit. I have a 5X flip up that's too tight in the cheeks, a open face 2X that uncomfortable in the temples, a 3X open face that I have placed a deflated socket ball inside and blew it up to do some stretching and will see what happens. I kept a Helmet for eight years but had to get rid of it because it was falling apart. I hate buying Helmets but this one I purchased isn't to bad, not a perfect fit but O.K. Bought it because it was the right color to match my new bike (close) and looked to be well make and is. I'm very satisfied with this helmet. Its all they claim and then some. I really like the fact that it doesn't make you look like a mushroom and the neck curtain makes wind noise tolerable but I can still hear my Motorcycle exhaust note & engine noise. I have this in black, but thought silver would be cooler for hot weather. Very comfortable.